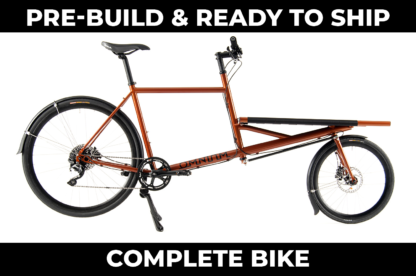 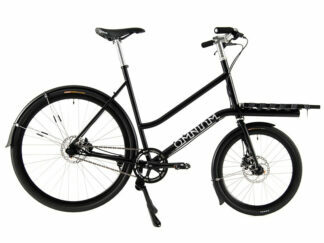 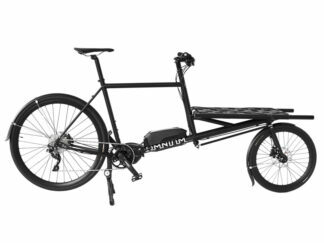 The Omnium Cargo is the fast, light, adjustable and manoeuvrable cargo bike. 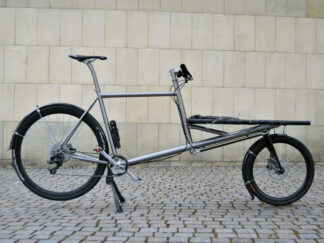 The rack area can be adapted for cargos of all kinds and for our official child seat. 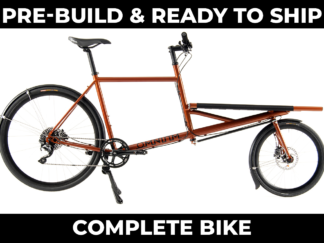 The simple addition of our nylon cargo webbing provides a super-strong surface that can hold crazy loads all day long(Webbing not included).